Global prescriptions and neglect of the “local”: What lessons for global health governance has the Framework Convention on Global Health learned? 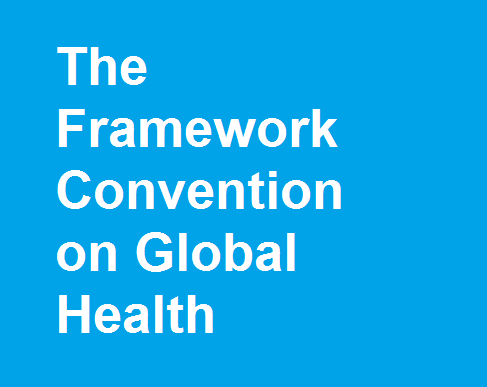 The Framework Convention on Global Health comes amid wider recognition of health inequalities and several recent calls for greater democratization of the world order. The framework suggests wider consensus on principles of human rights, equity and justice in addressing global health. In this paper, we draw on our empirical research and wider literature to discuss the lessons learned from the application of global “ideas” and “innovations” and reveal institutional and political processes and structural constraints that affect their implementation. We present our approach on the basis of two key arguments. First, gross inequalities and unequal distributional effects of the current global political and economic environment do not offer a level playing field for nation states to translate principles enshrined in the framework into practice. Second, such a “view from above” undermines processes of empowering communities to create responsive health systems. Through a case vignette of the People’s Health Movement, we then discuss substantive ways to facilitate local ideas and action.